Welcome to Blossom Skincare And Candles! 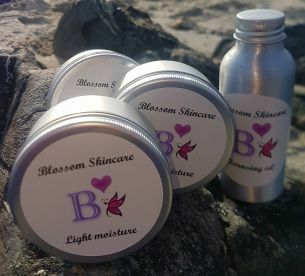 Blossom skincare is a 100% natural skincare range handmade on the Shetland Islands. Containing no chemicals or preservatives, the oils used to make the products for every skin type, age, and ailment. Our powerful skincare is designed by nature and our blossom moon candles are made from a natural beeswax candle that purifies the air as they burn. Beeswax is the only candle type that not only doesn't give out pollutants while burning but actually cleanses the air. 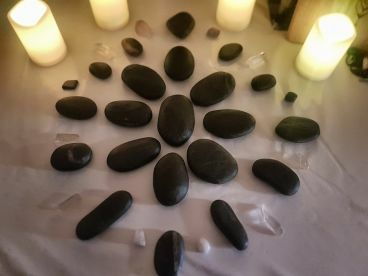 Moon candles are more then just a candle they can also be used to set intentions to bring whatever you dream of into your life. There are 5 types on offer; love, abundance, self, calm and gratitude. Our aromatherapy candles are blended with crystals and bound with care. Simply light your candle every new moon night and state your intention as you do. On the full moon burn the label with your intention written inside and watch your dreams come true. Finally, we also offer blossom chakra candles. 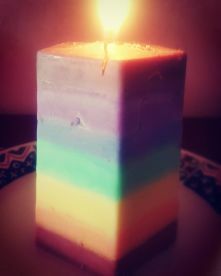 These rainbow coloured candles are links to the chakra points including aromatic scents. Call us today to get yours! Please note that Blossom Skincare And Candles may not be able to honour booking requests made.